Five Copper Bars. Each Bar requires five Copper Ores, which you can farm in the Mines fairly easily, and one piece of Coal, which you’ll find by breaking up rocks. Put the lot in a Furnace and you’ll have a Copper Bar about a minute later. 2,000 gold. How you get the cash is your own affair. 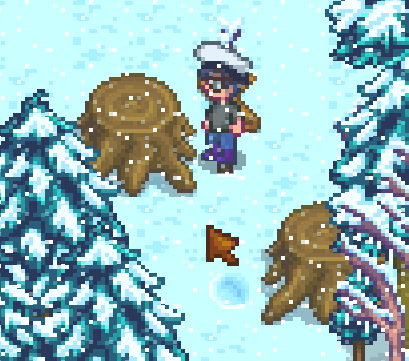 Wander around your property and smash up any tree stumps you find to get the Hardwood, then take the ten pieces to Robin for your Journal reward of 500 gold.